When Moshe Rabbeinu is asked by Hashem to confront Pharaoh and redeem Am Yisrael, he demurs because of his inability to speak clearly: “I am not a man of words...” Yet, forty years later, he delivers one of the greatest speeches ever given: “And these are the words that Moshe spoke to all of Israel, on the other side of the Jordan. What emerges from this midrash is that the Torah doesn’t simply tell us what to do, but provides us with a language with which to make sense of the world and communicate that understanding to others. The Torah’s words – the text itself – is meant to give us a vocabulary and categories of thought with which to navigate life’s challenges. This book is a result of – and an aid to – our daily encounters with those challenges, and indeed with life itself. 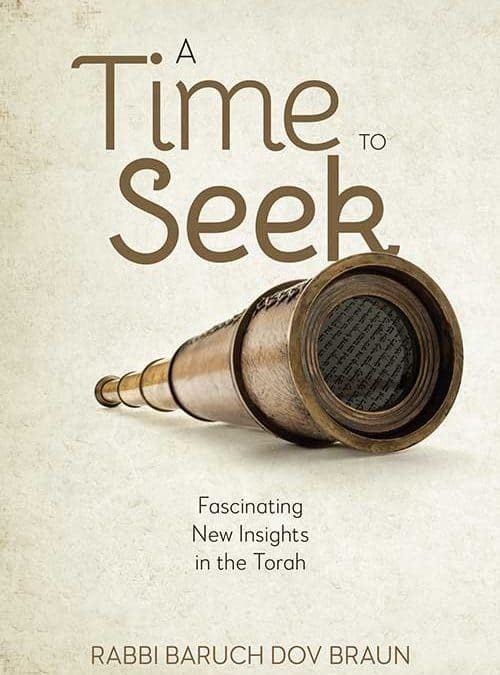 A Time to Seek helps us discover the timeless truths of the Torah in clear and contemporary terms, bolstering our confidence and pride in our tradition. Now, more than ever, is a time to seek. Rabbi Baruch Dov Braun is the rabbi of Young Israel of Avenue J in Brooklyn, NY. He received his semichah from Yeshiva University's Rabbi Isaac Elchanan Theological Seminary (RIETS), where he was a member of the Wexner Kollel Elyon. He is also a dayan on the Brooklyn branch of the Manhattan Beth Din for Conversions. After receiving his semichah, Rabbi Braun earned a master's degree in social work from New York University's Silver School of Social Work, where he studied social policy and clinical psychology. Rabbi Braun teaches Gemara and Tanach at DRS HALB High School for Boys and has also lectured throughout the Tristate area. He lives with his wife and children in Brooklyn, New York.